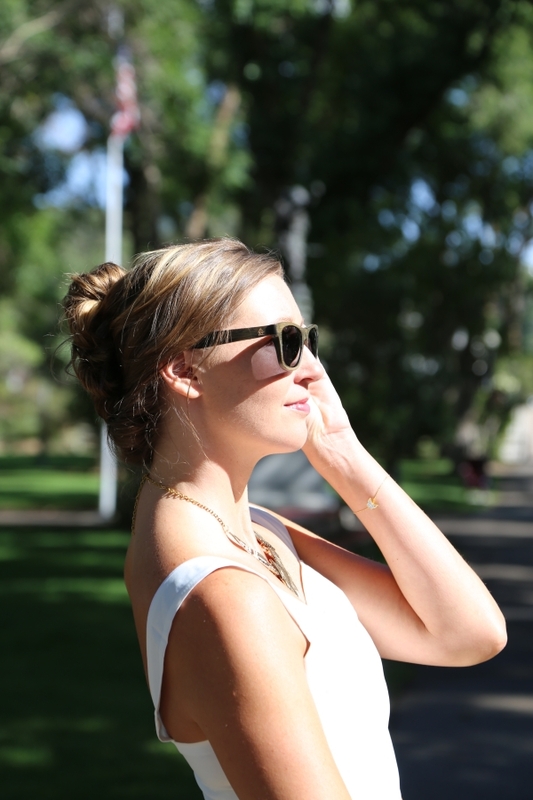 The Perfect Stylish On-the-Go Sunnies: Westwood Sunglasses Review + GIVEAWAY! 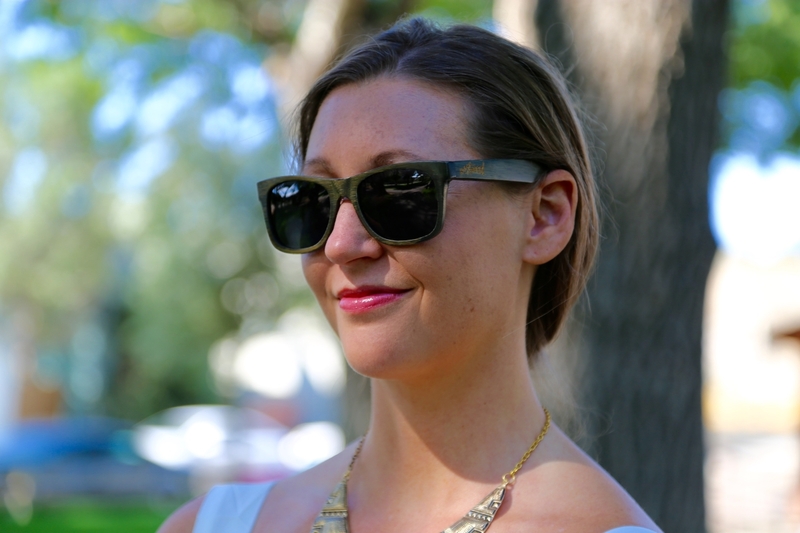 I’m originally from Utah, so I was beyond ecstatic when I found out about an amazing sunglass company who is creating some gorgeous frames only a half hour from where I grew up! 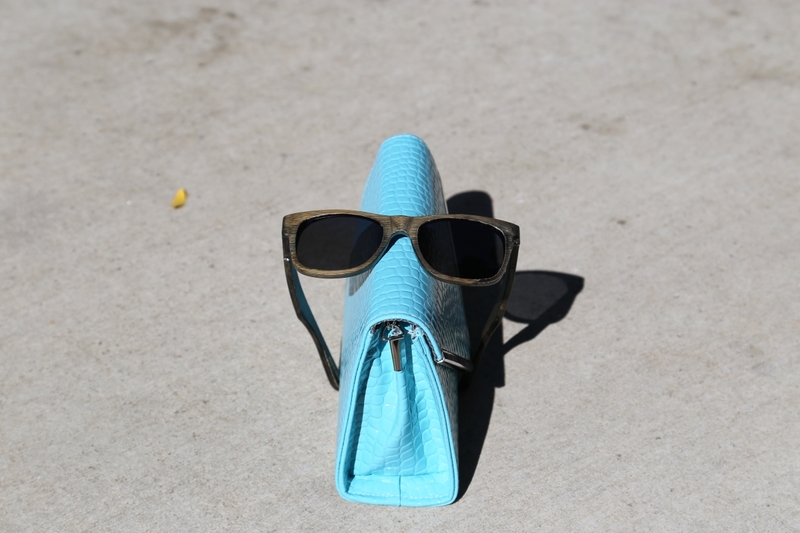 Westwood Sunglasses are designed for people with an “on-the-go” lifestyle. I wasn’t surprised to hear this, being that they are a Utah company. Utah has such a great environment for tons and I mean TONS of different activities! And living there, you see and meet a ton of people who are into some kind of outdoor sport or activity (usually far more than just one!) I grew up participating in everything from Beach Volleyball to Snowboarding, tubing the river, to rock climbing. You name it, I’ve probably tried it at least once. It totally made sense to me that Westwood Sunglasses started their mission to find a great fitting, and fabulous looking frame that will move well with you on your next outdoor adventure. Stand up Paddleboarding anyone?! ENTER TO WIN some Sunglasses at the bottom of this post! These high quality glasses are actually made of wood, so they are super lightweight (in fact they weight in at only an ounce or less!) and they feel incredibly comfortable on, thanks to their flex fit. They also snug to your face well so you don’t have to worry about losing them either. No more annoying slide-down-the-nose frames when you look down! (Ugh, that is the worst!) These glasses are a perfect fit and are so comfortable you completely forget they are even there, leaving you to enjoy your favorite activity. These sunnies are of course UV protectant and are also polarized too, also making it great for any outdoor sporting activity as well. These beautifully handcrafted sunnies will also cost you substantially less than the other go-anywhere brands of shades on the market! It’s no secret these sunnies are the perfect shades to take with you on your next adventure, and since they are so lightweight, they’re perfect for your next destination or vacation too! But of course, being a fashion blogger, I had to show you just how fabulously stylish these sunglasses are too! These sunnies are totally chic right?! Not only are they great for whatever you do, they look fabulous with whatever you wear too! Interested in trying some Westwood Sunglasses out for yourself? ENTER TO WIN a pair below! 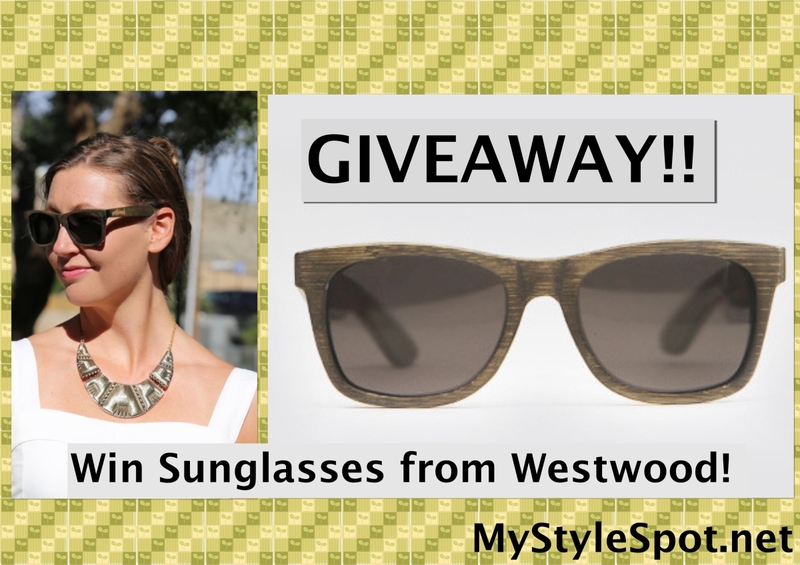 ENTER TO WIN a pair of Westwood Glasses by Clicking HERE! Sounds great! I hate how my Raybans keep sliding down my nose and even after they tighten it all the way. I love your style and the sunglasess! Loving the color of those sunglasses! 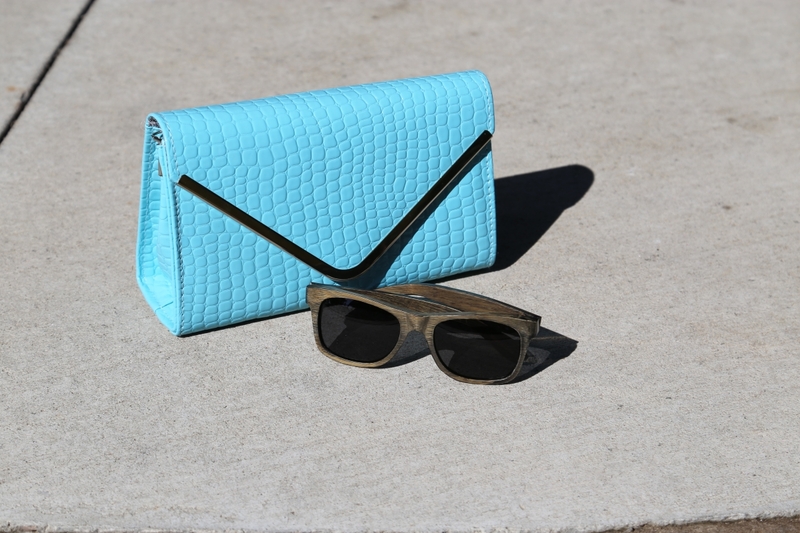 Not only do I love the sunnies, that bright clutch just makes the outfit stand out! You look totally fabulous! I love the look….I LOVE that skirt! I’m not sure if its my computer, but I can’t see how to enter to win? (I can see the other giveaways with no problems.) Thanks! I really like the look of these sunglasses. They look fun! I love the whole look.You look fantastic! these be great for my wife. I like the color the tanning product leaves on the skin. I could use this for myself easy. Very cute sunglasses! I would totally wear these! I have a pair of Westwoods, love them! its not my style,but i like them on you! These are great looking sunglasses and I never leave home without a pair. I would love to have a pair of these. Thank you for sharing this post. I like that you put the links for the different parts of your outfit for those that would like to purchase them. Makes it easy! I really love these sunglasses.. but what I love even more is how you styled them!! I would not know these are wood had I not read your review. I would love to have a pair fit comfortably while participating in an active lifestyle.